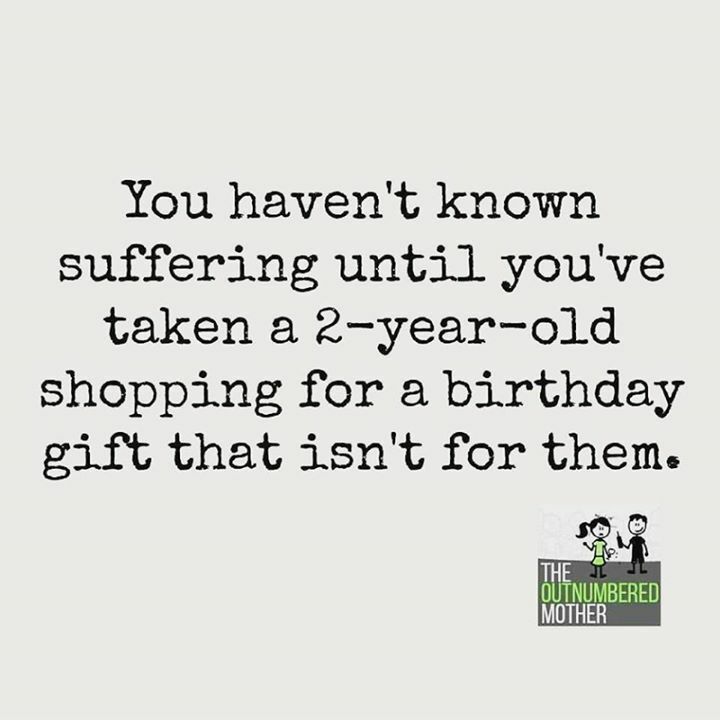 YOU HAVENT KNOWN SUFFERING UNTIL YOUVE TAKEN A 2-YEAR-OLD - ProudMummy.com the Web's Community for Mums. YOU HAVEN'T KNOWN SUFFERING UNTIL YOU'VE TAKEN A 2-YEAR-OLD SHOPPING FOR A BIRTHDAY GIFT THAT ISN'T FOR THEM. And this is why i now do online shopping lol. oh yes i have try taking all three shopping for one childs birthday....carnage ive dumped everything before and just walked out of the store!!! !